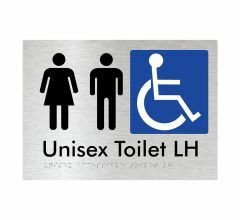 Required for disabled toilets. Premium quality stainless steel backrests conforming to the requirements of AS1428.1-2009. Choice of Polyurethane and Stainless Steel back plate. Optional integrated side and rear grab rails. 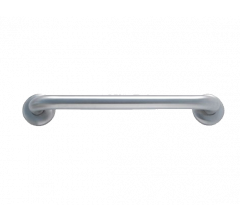 BRITEX offers a complete range of premium quality stainless steel toilet backrests and combination grab rails that comply with the requirements of AS1428.1-2009 - Design for Access and Mobility. 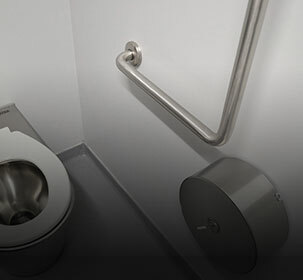 To conform to the design standard, a backrest is required to be installed in conjunction with disabled toilets in amenities for users with physical disabilities. 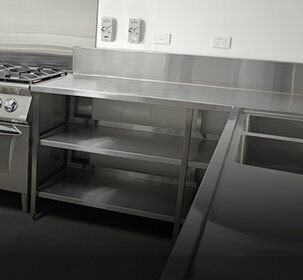 The Britex range of stainless steel back rests includes both independent backrests and backrests that are mechanically joined to adjustable, adjacent rear and side rails to provide a more seamless overall solution. 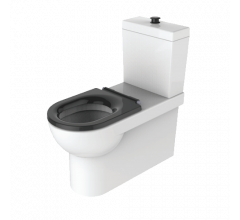 In each case, Britex offers the choice of both a white Polyurethane back pad or, for maximum vandal resistance, a curved stainless steel back plate. 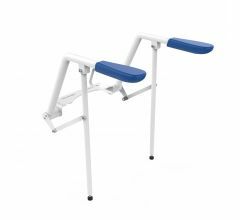 Mounting brackets incorporate concealed fixings and, where specified, combination grab rails are supplied with a satin finish.